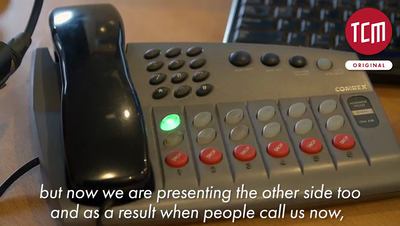 A selection of The Centrum Media's best works over the past couple of years. 38 years, 6000 students, Meet Ghazala Bangash, the oldest female driving instructor in Pakistan. Pakistans only female boxing club in Karachi. 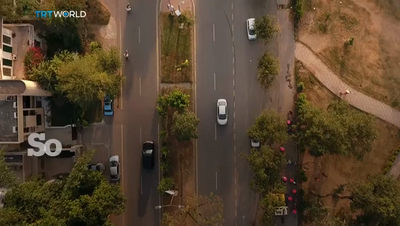 The first episode of Divas of Karachi introduces a group of fashionable, successful socialites in Pakistan who are doing all they can to change the image of their hometown, Karachi, the 4th largest city in the world. Our global access programs have helped more than 1.7 million people in developing countries access hepatitis C treatment. In countries like Pakistan, which has the second-highest burden of HCV in the world, we are implementing a first-of-its-kind program that will allow local production of authorized generic versions of our HCV medicines to help ensure people can access them at the lowest cost possible. A few sample videos from the past few years. Nighat Dad has taught thousands of Pakistanis how to protect themselves. The overwhelming response is why Dad, a 34-year-old lawyer who used to practice criminal and family law, set up the Digital Rights Foundation in 2012. The not-for-profit organization educates Pakistanis, particularly young women, about how to respond to online harassment. 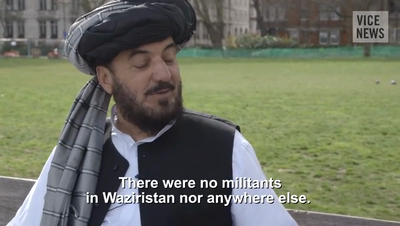 Malik Jalal says he's on a secret CIA kill list and has narrowly escaped death by drone four times. He is part of the North Waziristan Peace Committee (NWPC), which is based in a region of Pakistan that has seen more than 300 documented strikes, according to The Bureau of Investigative Journalism. This month has seen the largest demonstrations against the Pakistani government in more than 20 years. Imran Khan, a professional cricket player turned politician, and popular cleric Tahir-ul-Qadri led followers in a "revolution march" from Lahore to Islamabad against Prime Minister Nawaz Sharif. 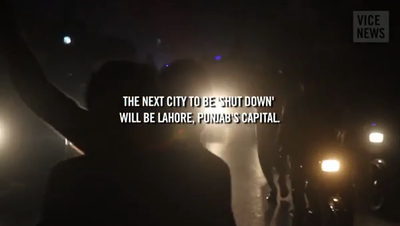 VICE News was on the ground to witness some 200,000 people rally for democracy in Pakistan. Meet Pakistan’s first transgender RJ Kashish, who is changing prevailing perceptions about her community through a Radio program. Imran Garda travels to Pakistan to meet the country’s leading opposition leader, Imran Khan (Current PM), and to explore its rich and at times turbulent democracy. Pakistans first female truck driver. A few sample videos from the past few years. Journalists Babita Sharma and Adnan Sarwar are beginning their epic journey along the still-contentious border that divides India and Pakistan. 70 years after the Partition of India and the creation of Pakistan, the pair are travelling either side of the 2,000-mile border to discover the realities of the lives there. Beginning in Adipur, which started life as a refugee camp for Hindus fleeing the newly created Muslim state of Pakistan, Babita discovers a town which now intriguingly hosts the only Charlie Chaplin festival in the world. Gandhi, who was born here in Gujarat, met Chaplin in Britain in 1931, and the memory of this unlikely friendship is kept alive today by this event. On the other side of the border, Adnan explores the cultural life of the metropolis of Karachi. Creatives are often at the forefront of social change, whether through art which questions social norms or fashion, which is creating a role for itself on the 21st-century international catwalk. Women in both countries are challenging how they have been traditionally constrained, from the women bikers who Babita meets in India to the female artist in Pakistan who asks potentially dangerous questions about female sexuality and a young woman who believes that she will win Pakistan's first gold Olympic medal for boxing. Adnan also meets members of the Sheedis, a little-known African community who have lived on the Indian subcontinent for over 800 years and who are now fighting discrimination in Pakistan. Babita travels north into the salt flats of the Rann of Kutch, whose residents are held back by the caste system. Here, lives have barely changed since partition and there seems little will to make these people's lives better. The journeys both end in the mighty Thar Desert, which was split between the two countries and which has been the scene of conflict as recently at 1999. Whether Indian or Pakistani, this is a virtually uncrossable border. Partition left searing scars and divided families that, 70 years later, are still not reconciled.